A canopy roof at Claremont hospital collapsed last Wednesday night. The hospital is open as normal and visitors are being asked to use the main entrance. 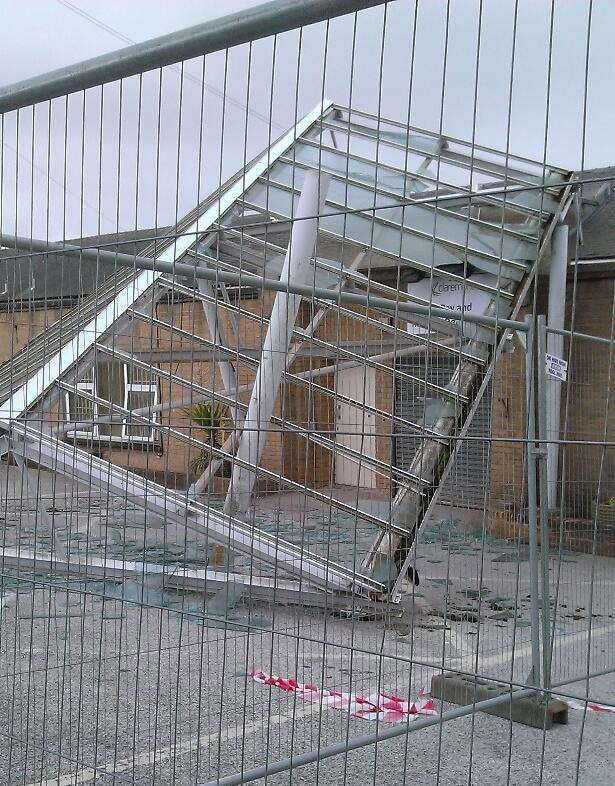 This entry was posted in crosspool, news and tagged claremont hospital, roof collapse. Bookmark the permalink. Apparently this was caused by a bus doing a three point turn. The driver just drove off and has lost his job.